I WAS only seconds into my interview for this week's column when I discovered my subject, the manager of Carwash Headquarters, was a good bloke. After all, he had the same Christian name as me. What's more, it was spelt the same way! "I thought I was the only one with a 'y','' I remarked as I wrote Darryn Baker on my notebook. 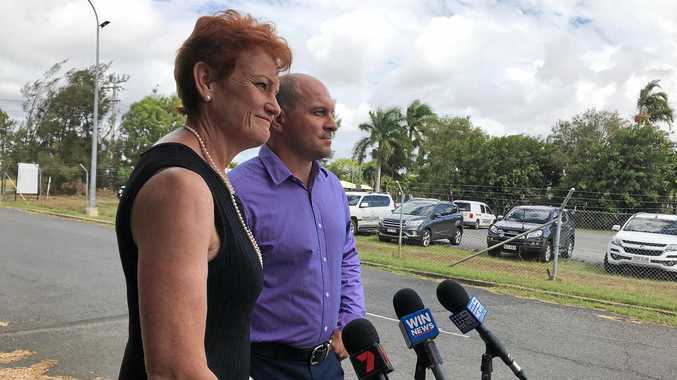 As fate would have it, the upholsterer, motor trimmer and windscreen fitter by trade, landed a job interview in Rockhampton not long afterwards. "It was at Windscreens O'Brien. "At the time I didn't have a driver's licence because I'd been done for DD (drink driving). "The bloke who interviewed me said it shouldn't be a problem as I'd be starting off in the workshop. As the saying goes ? the rest is history. "I've got no regrets at all,'' Mr Baker said. Mr Baker, a father of four, aged 16 months to 17, said Rocky's laidback lifestyle did it for him. Mr Baker has been at Carwash Headquarters for a bit over two years, having worked his way up from assistant manager. In that time he's seen a few strange things. "I remember one day these four chicks came through. "They were all wearing bikinis and covered in mud. There was more mud on them than the car I reckon. At this point I started to think I was in the wrong game. "Na mate, it's only happened once,'' Mr Baker assured me. I managed to get another tale out of Mr Baker, albeit reluctantly. He told me about the time a customer, a regular mind you, had forgotten to hang up a hose. It became caught on his rear spoiler as he left and ripped it clean off. "He was furious,'' Mr Baker said. Fortunately no-one was hurt during the making of this episode. "I saw him a few months later and I said g'day and he said g'day back, so in the end it was all okay,'' Mr Baker said. I left thinking there was never a dull moment at a car wash ? just good clean fun!